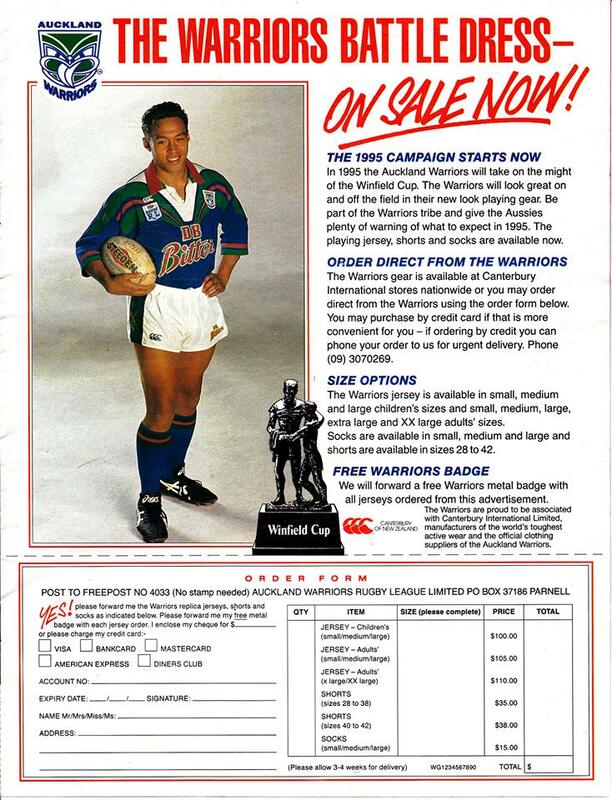 The Warriors jersey was officially released in March 1993. 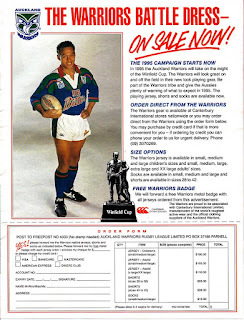 That same month the Warriors Scholarship Development squad would become the first Warriors team to play a game wearing the Warriors jersey in the curtain-raiser for the Brisbane Broncos vs Canterbury-Bankstown Bulldogs match played at Carlaw Park, Auckland. 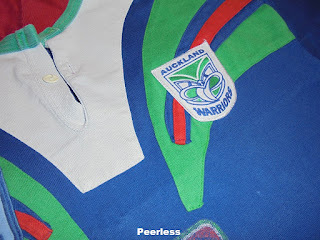 CCC Canterbury of NZ - This jersey was mostly seen worn by players in ads for the sale of the jersey and at the official launch. 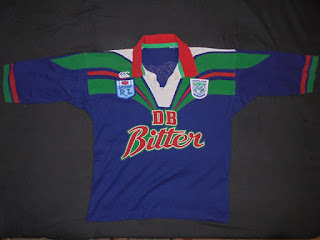 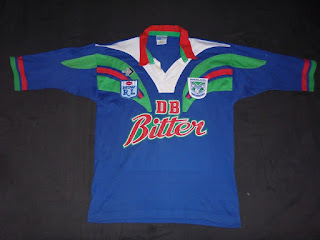 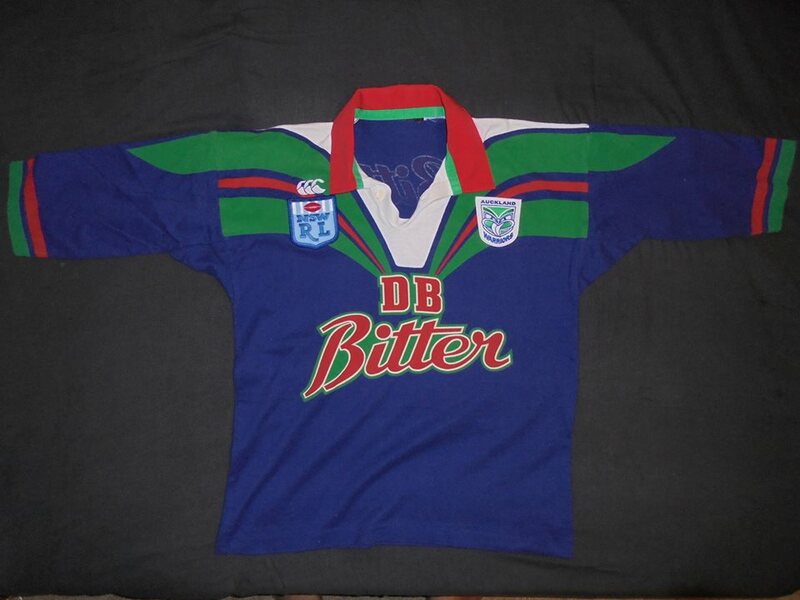 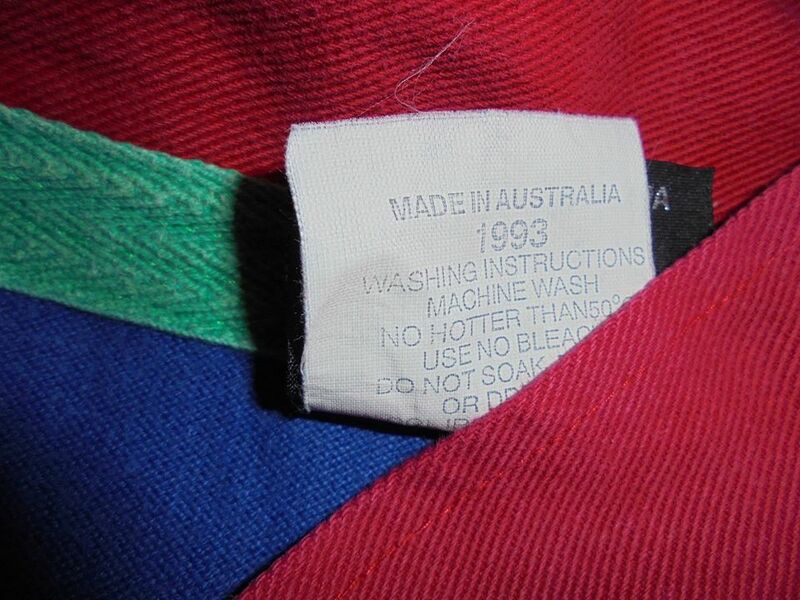 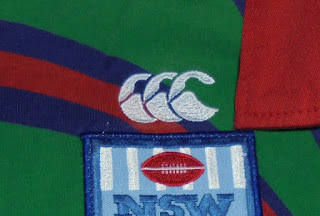 What sets this jersey apart from the 1994 version is the placement of the CCC logo which is above the NSWRL badge and the fact that the CCC logo is embroidered on. The following year would see the CCC logo placed below the NSWRL badge and sublimated. 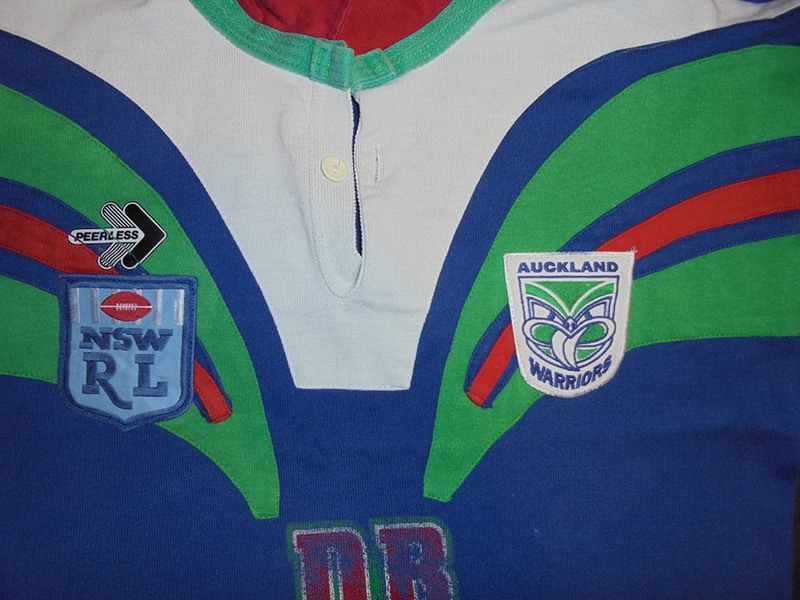 This jersey is rare and I have only ever seen two for sale in the last 10 years. Peerless - This version saw the chevron made of individual strips of fabric and sewn one on top of the other. 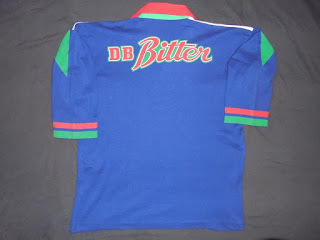 DB Bitter and Peerless logos are laminated as well. Quite rare but most people probably wouldn't care much for its rarity so I wouldnt place too high a value on it.